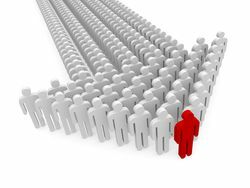 Everyone has unique characteristic but sometimes duplicates to the others like actors or successful man. Some of them have a community called fans club, usually it consists of adolescent. Their style, clothes are same with their favorite actor. Actually, it is just validities but will affect ugly for the people force it, because everybody doesn’t have a same character, it is possible that oppositely. This matter can cause a split personality which is exactly break life of someone. Become the own self and have a character matching with our self is not easy matter, proven by above phenomenon. Then, how to own a personality matching with our desire and self? Among the matter which is very have an effect on in forming personality of someone is habit. Habit is a repeatedly activity so that not necessarily consider it again when will do it. God is even also praise to the people which have little worship but istiqomah. With consistence, big a problem will be easy. Knowledge is very important for us to know the purpose, benefit and hikmah of habit which will to do. Known a big benefit and his influence for our life, we will shy to discharge it. Can I do it? Is my mental can get it? Do this physical can stay it experiencing? Do I have enough time to do so? Before doing our ambition, it have to measure our ability, really can our?? We have to ensure that our x’self really wish it doing. If we only going with the stream that all will differ the result. Hence of vital importance arrange the intention since early. This three components is much interconnected, if we don’t have a clear knowledge concerning the habit impossible can have that strong desire and all will free; useless when since early us truly unable to. Truly, it’s difficult to control our self to form a habit but when the habit has been formed, exactly habit to facilitate our x’self. More than anything else, if we have positive habit, hence indirectly he will send the owner to successfulness spandrel. We do hope Allah give us a positive habits which send us to successfulness in this world as well as the next world, amen.